The 2016 Jewel City Church Vacation Bible School starts tonight! This year’s theme is “Roller coaster World” and will include a functional roller coaster and Ferris wheel on stage! The learn more about the “JCC Experience,” visit here. VBS 2016: Alone dance video from Jewel City Church on Vimeo. For more info, visit www.jewelcitychurch.org. I’ve been a fan of Ricardo Sanchez since our church started singing some of his songs on Sunday mornings a few years back. He just released a new CD this week, and I’ve been enjoying it. It has a bit of techno feel to it in places, but I think it’s cool. Enjoy with Spotify! Acoustic Service: August 24th from Jewel City Church on Vimeo. So, for the past several years I’ve been creating a “Playlist for every season,” for lack of a better title. Lol. Well, this year is no different and as of this moment I have a total of 43 songs in the “Summer 2013” playlist. Here’s the complete list, thanks to Spotify. 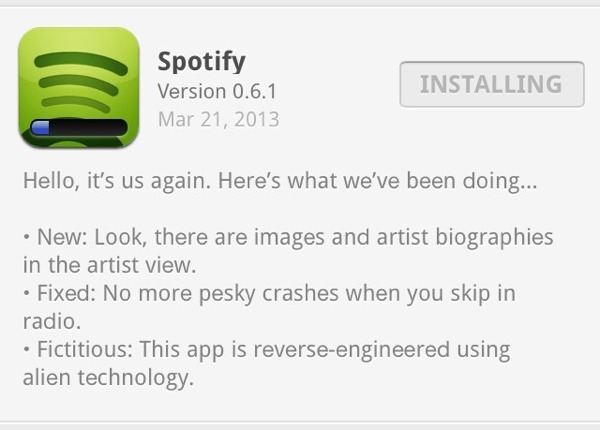 Spotify: created by … Aliens? Oh Spotify, you so funny!! This is what was displayed under the “What’s New” section of the application when the update for 0.6.1 was made available recently. My favorite line is the “fictitious” one at the bottom. Lol. Well played, Spotify. 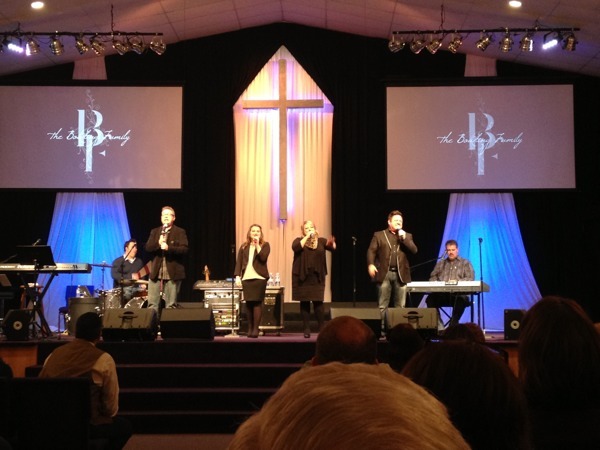 The Bowling Family sings at Jewel City Church.